The key to a successful craft show isn't just about the day-of duties. Your prep and post show tasks are where shows become stellar. There are certainly aspects of a craft show you can't control, but there are many, many things within your control and we want to help you make them AMAZING! Ever wondered why your application was rejected? Confused about how to set up your booth to draw in customers and sell more? Frustrated and feel unprepared shows? So exhausted after a show you immediately hibernate for a week? That's why we've created this workshop! Craft show veteran and producer Nicole Stevenson will share tips and insights from her from her experiences vending at over 300 shows and producing over 40 of them (if you caught her CreativeLive class you know that she knows things!). She'll be joined by Sharon Fain a craft show jury member, marketing expert who has helped hundreds of makers with their businesses. How can you stand out with the jury? It's easier than you think, but definitely takes more planning than filling an application out quickly and sending it off. Learn how to organize your information and what you need ahead of time to be prepared to apply. Preparing your product, your booth, being ready for buyers and following up with folks after the show will send your profits soaring. We'll teach you about pre and post-show marketing and what goes into a fantastic display and merchandising. There's so much after the show that can both prepare you for the next time and even boost your sales. How can you tell if a show was worth it and if you should apply next season? How do you make an impression on the producers for the next show? This workshop will show you exactly what to do after your next show. 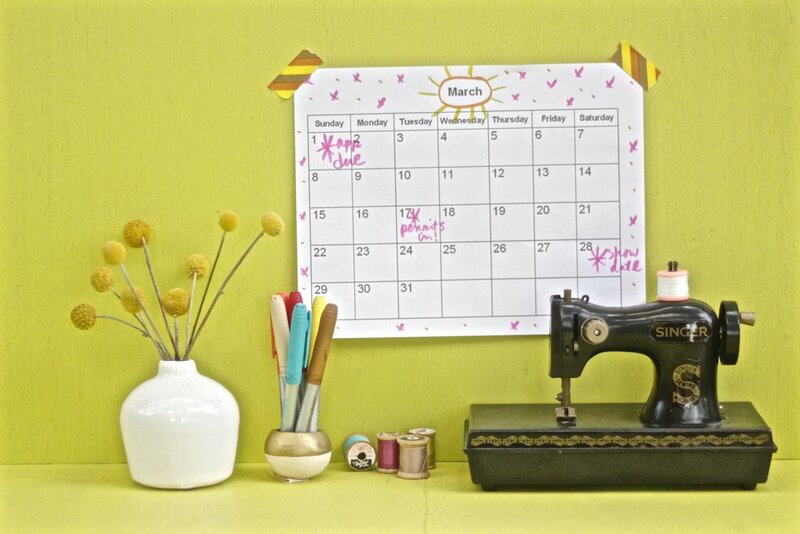 Are you ready to nail your next craft show? Then join us! 2:00 - 2:15 PM: Check-in and mingle! Ask craft show veterans, jurors and a producer all of your craft show questions! And maybe a few others too! Nicole Stevenson is an illustrator and artist at Nicole Stevenson Studio, writer, teacher and creative business consultant as well as the co-founder Dear Handmade Life, Patchwork Show and Craftcation Conference. Her path includes time as a street artist on the Venice Beach boardwalk, costume designer, DIY workshop instructor, co-founder of a non-profit that produced art shows benefiting charities, owner and designer of Random Nicole (an art-inspired clothing line carried at over 250 locations) and owner of craft workshop studio and retail store: The Craft Kitchen. She has a BA and MA in creative writing and is currently working on a nonfiction book about her crafty adventures. Register below ASAP to make sure you claim your spot. Seating is limited. Membership status will be checked.